The Humane League is asking McDonald’s to implement better welfare standards for the chickens in its supply chain. 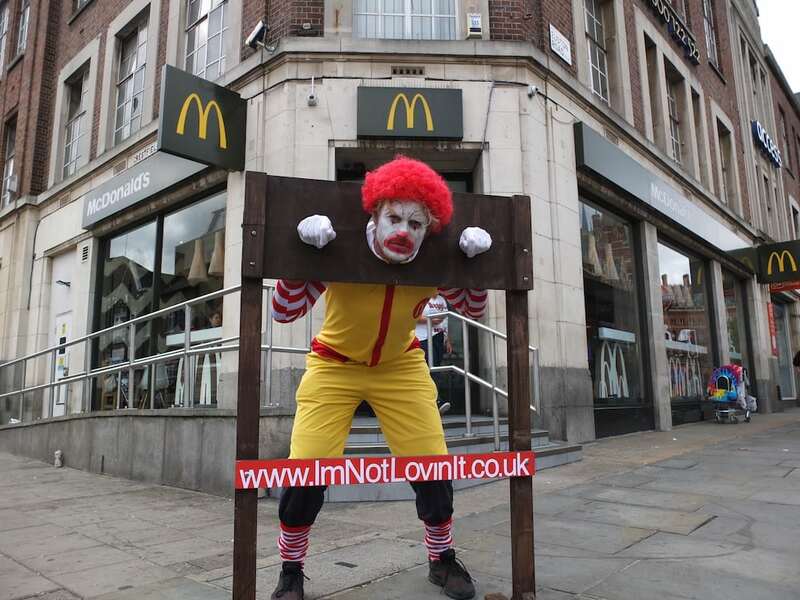 Today campaigners visited McDonalds’ restaurant in Kings Cross and McDonalds HQ in East Finchley. 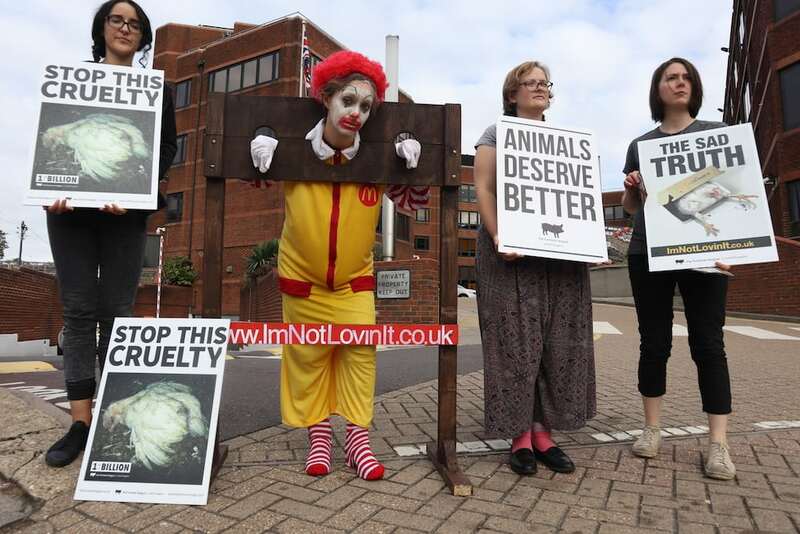 McDonald’s released an animal welfare policy last year which was met with fierce criticism from animal welfare advocates. The company failed to address the issue of the breed, meaning chickens in their supply chains will still grow extremely large in a short period of time. Chickens raised on standard intensive farms suffer from debilitating health issues, and are confined in cramped, barren warehouses. 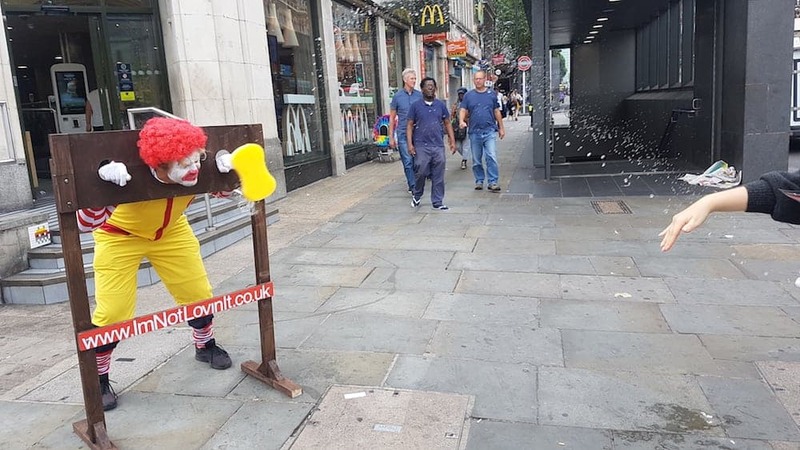 As part of the campaign, The Humane League UK is asking McDonalds to commit to the the Better Chicken Commitment standards for its European supply chain and the comparable standards for its North America supply chain. These standards have been agreed upon by a range of leading animal protection groups including Compassion in World Farming, the RSPCA, and Animal Equality.